Zinedine Zidane’s Real Madrid put in a decent performance in the first leg of the Round of 16 tie of the Champions League fixture against Italian giants Napoli earlier this week, taking a 3-1 advantage into the second leg of the competition. The manager will be happy with the team’s recent performances and will be overjoyed with yet another record his team have broken this season. Facing Espanyol at home in the Spanish domestic league, Real Madrid managed to score in their second 42nd consecutive match, standing as the first team to do so in the history of La Liga. Spanish striker Alvaro Morata was at the end of a cross from team-mate Isco in the 33rd minute to head home and give Real an early advantage and having equaled the record in the game against Napoli, Real Madrid managed to surpass their similar feats in previous seasons. This run of incredible results started way back in the 2015-16 campaign on Matchday 36, when they beat Real Sociedad 1-0 on the night. Ever since, Real have scored in every game, 114 goals from 42 games in this time. 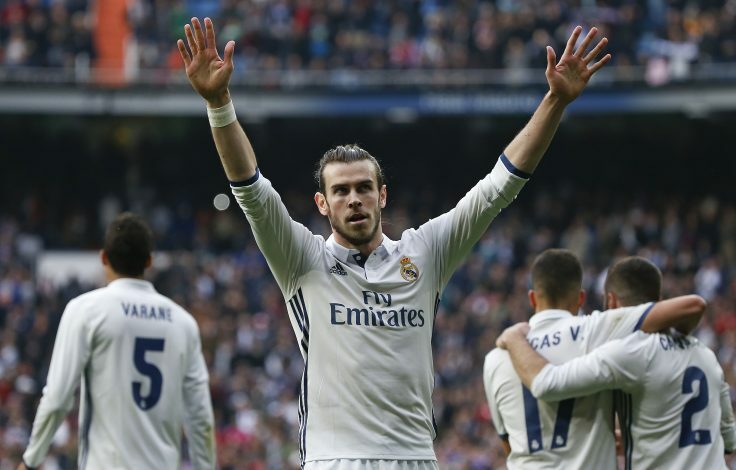 Real Madrid, who held this record previously have scored in 41 back to back games in all competition thrice in their history. Under Juan Antonio Pina in 1951-53, under Leo Beenhakker’s in 1987-89, and under Jose Mourinho’s 2011-12, Real Madrid managed to score in 41 consecutive games and they have gone one better this time around, thanks to their comfortable victory over Espanyol at the weekend. Zinedine Zidane has already helped the Spanish side to the Champions League and is close to lifting the La Liga title in his first full season at the club and with records tumbling all around, it will be interesting to see if Real Madrid can keep up the good work till the end of the season. This victory takes Real 4 points clear of Barcelona, with a game in hand.